To start, I masked a card base – leaving a strip off at the top of the card – and stamped the small flowers from the set several times with Grout Gray dye ink, to create a custom background. Next, I colored the cute sheep and the grassy hill with Copic markers and, when my coloring was done, I carefully fussy cut them. I die-cut a couple of hearts out of patterned paper and added them to my scene, leaving the sheep in the middle of my composition. Finally, I heat embossed the sentiment in white on a strip of Summer Splash card stock. 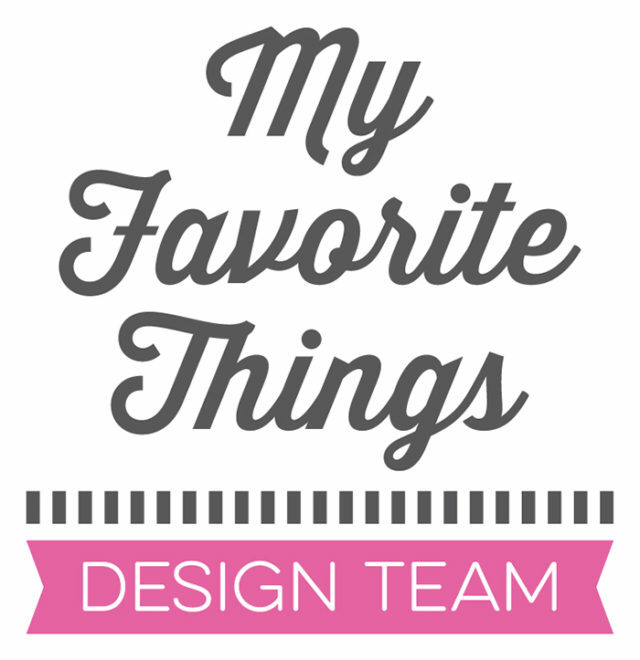 Make sure to check out the MFT Challenge and Inspiration Blog for all the details about the sketch challenge and more inspiration from the DT.